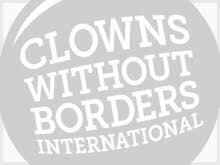 In April 2015, Clowns Without Borders Belgium went to Cameroon. The project targeted mainly refugees from Central African Republic in camps. They performed 12 shows for 10,300 people. In November 2014, Clowns Without Borders Spain went to Cameroon to perform 6 shows for 15,100 RCA refugees in Bertoua and Meiganga. In 2014, Clowns Without Borders Canada went to Cameroon on a tracking mission and performed a show for 500 people. In 2007, Clowns Without Borders Belgium went to Cameroon. In 2007, Clowns Without Borders Spain returned to Cameroon and toured in several villages in the North, to perform in total 12 shows for 3840 people.